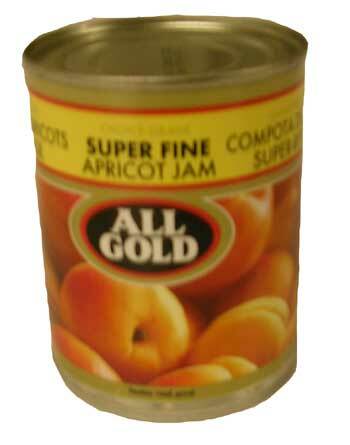 Only the best rich and ripe apricots go into this All Gold jam. The jam is made satin smooth by gently puréeing the apricots, making a super fine smooth spread. Glucose, Apricot Pulp (minimum 35%), Cane sugar, Pectin (E440), Acidity Regulator (E330).